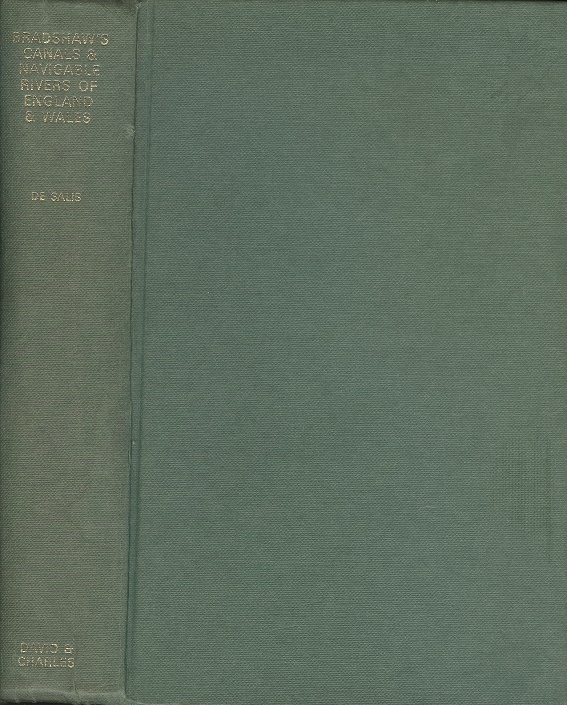 Bradshaw's Canals and Navigable Rivers of England and Wales (1904) - A Reprint of 'A Handbook of Inland Navigation for Manufacturers, Merchants, Traders and Others. Henry Rodolph De Salis. David & Charles, 1969. 1st Edition. ISBN: 071534689x. 480 pages plus 8 pages of original adverts. 1.07Kg. Green cloth boards Very Good but missing its dust wrapper, hence reduced price. A facsimile of the original 1904 edition with a new introduction by Charles Hadfield. Owing to the weight, extra shipping will be required.